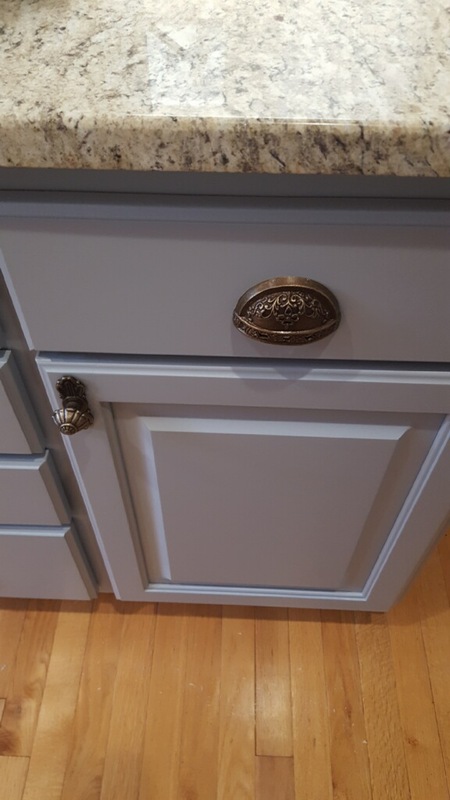 Every once in a while we work with a customer who dares to take a bit more of a risk when choosing their colors. 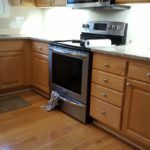 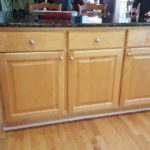 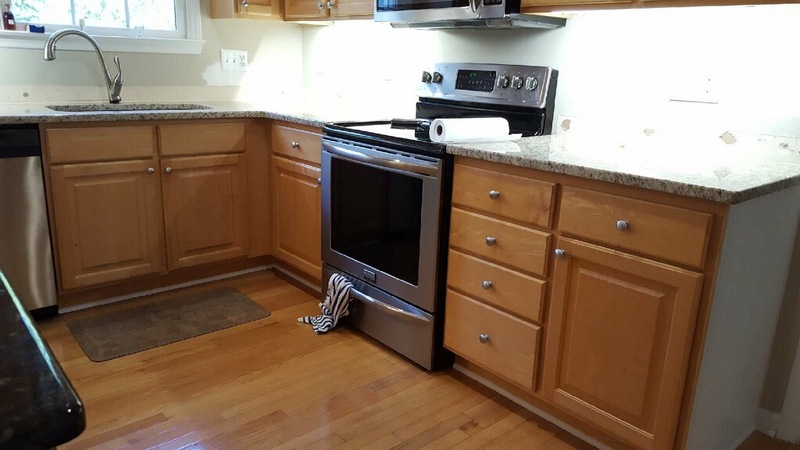 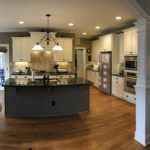 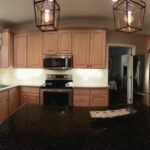 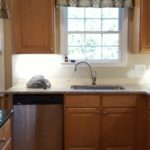 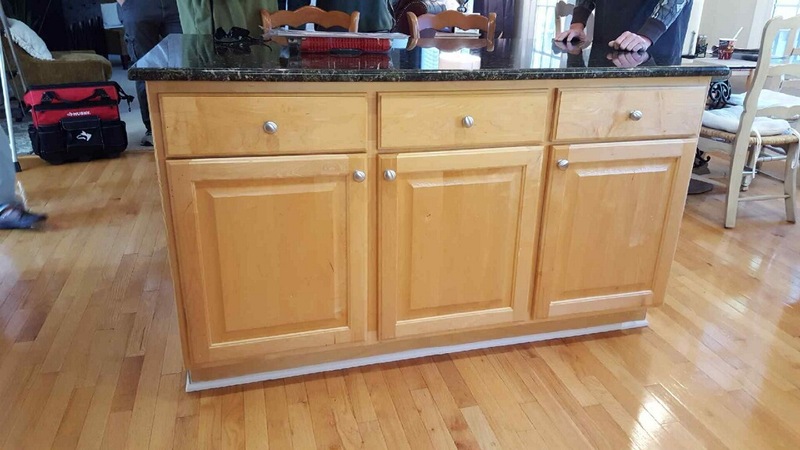 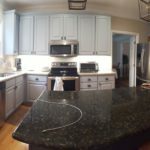 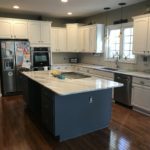 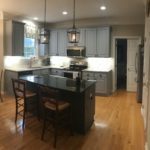 This kitchen is a great example of a risk that really paid off! 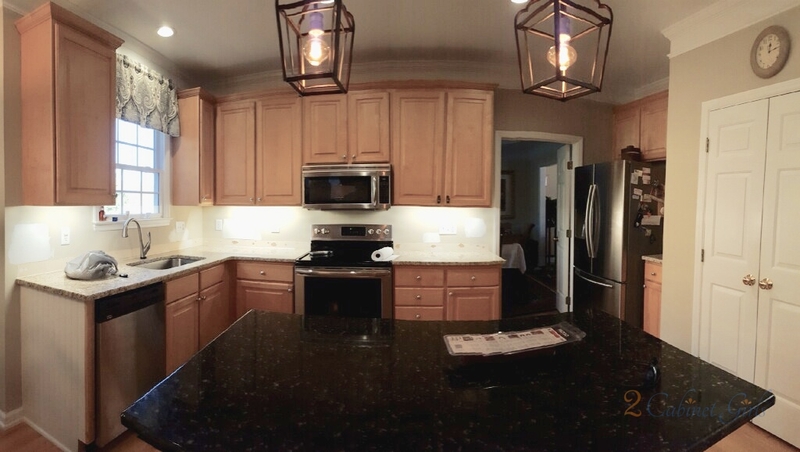 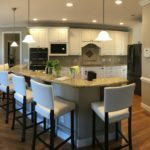 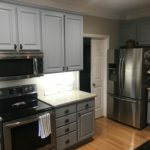 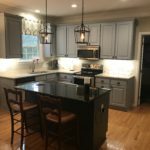 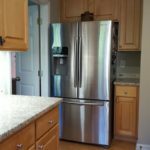 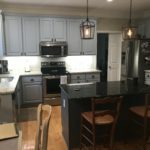 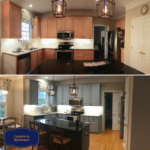 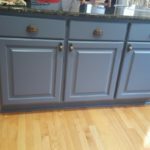 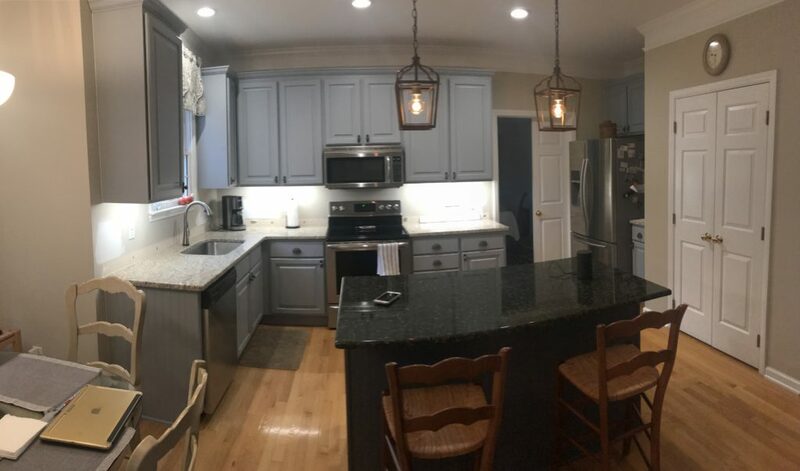 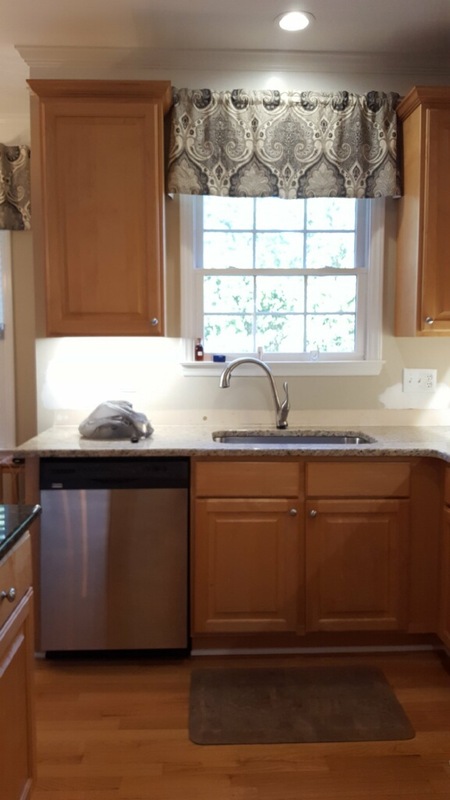 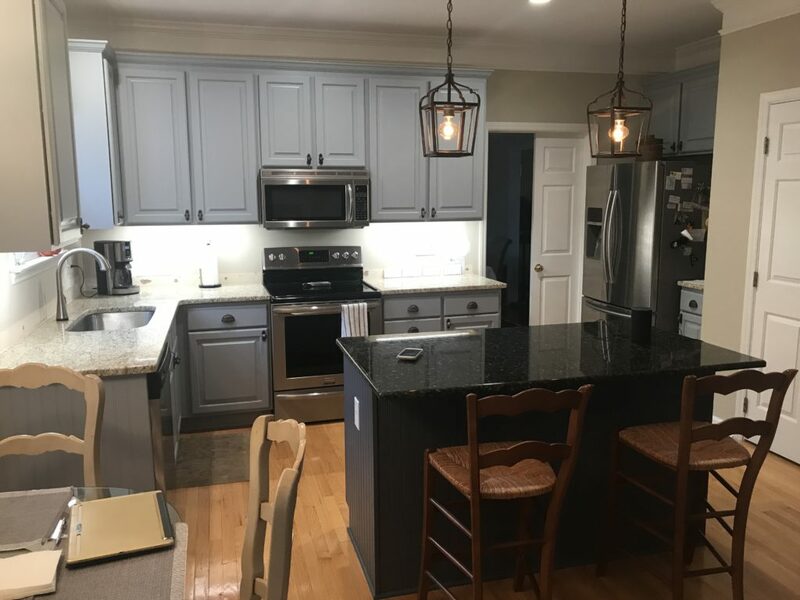 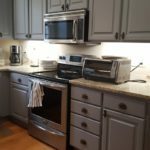 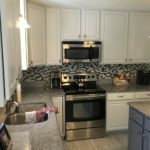 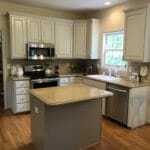 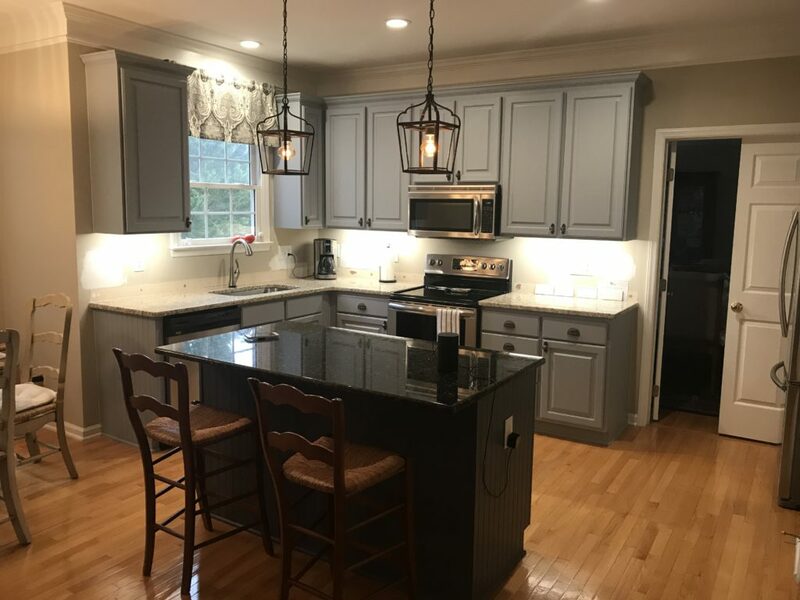 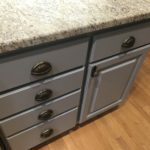 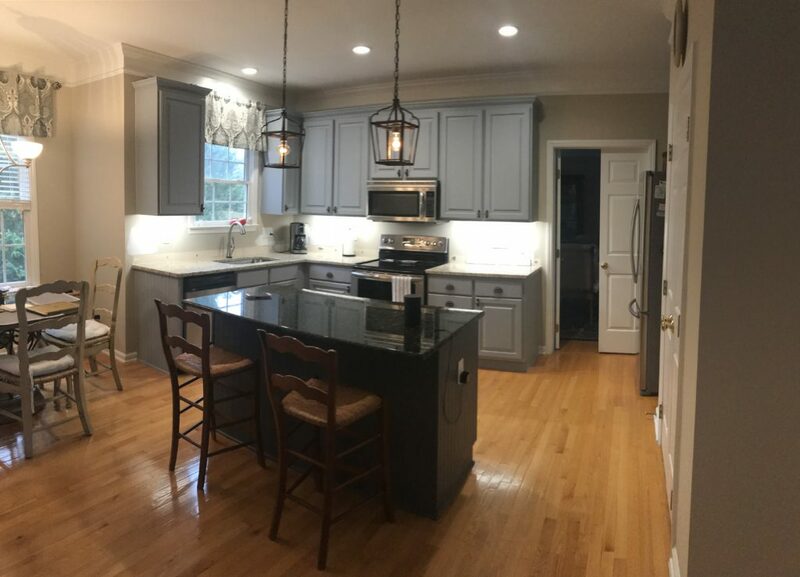 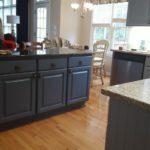 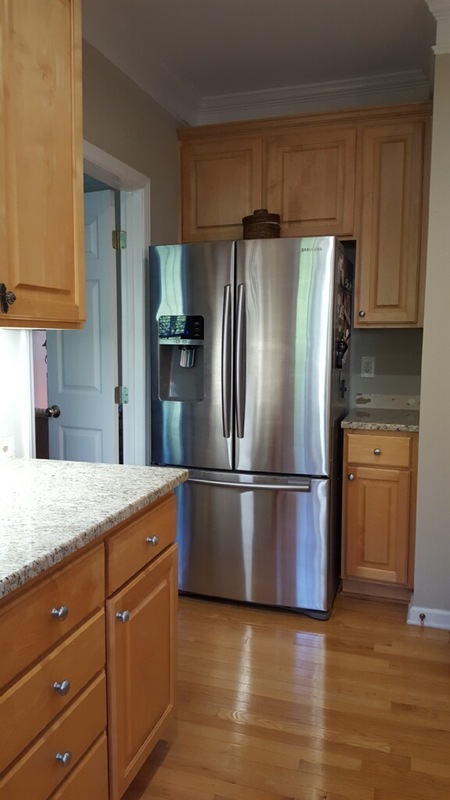 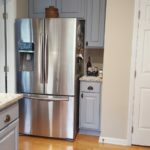 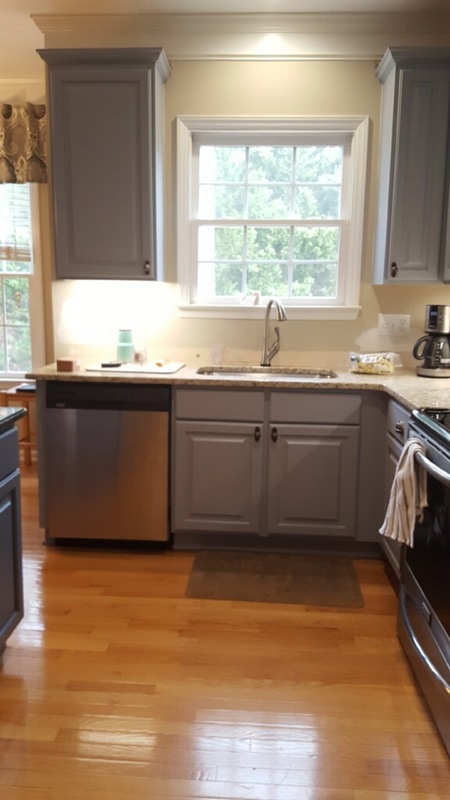 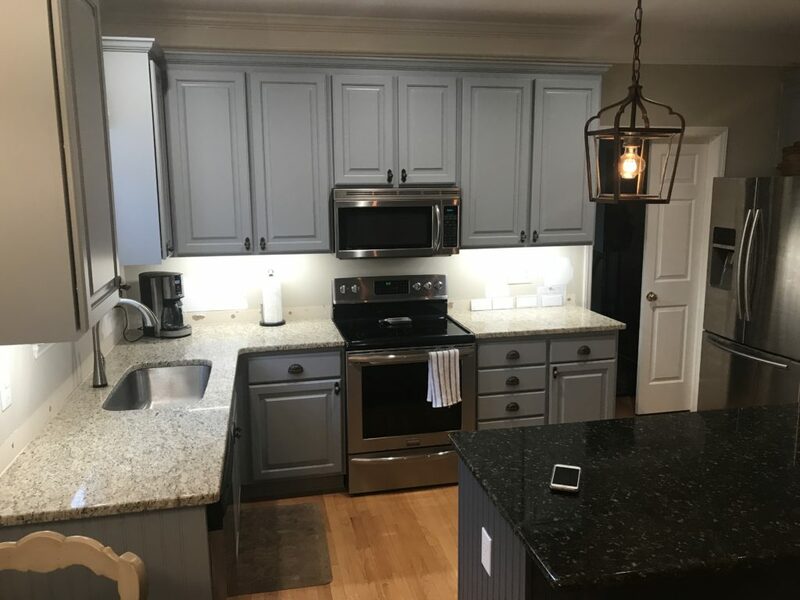 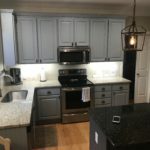 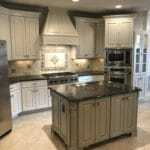 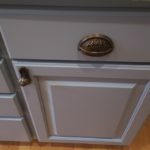 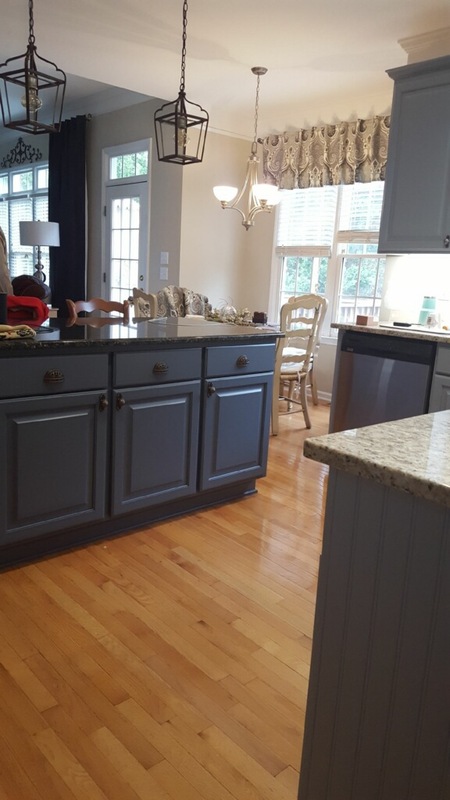 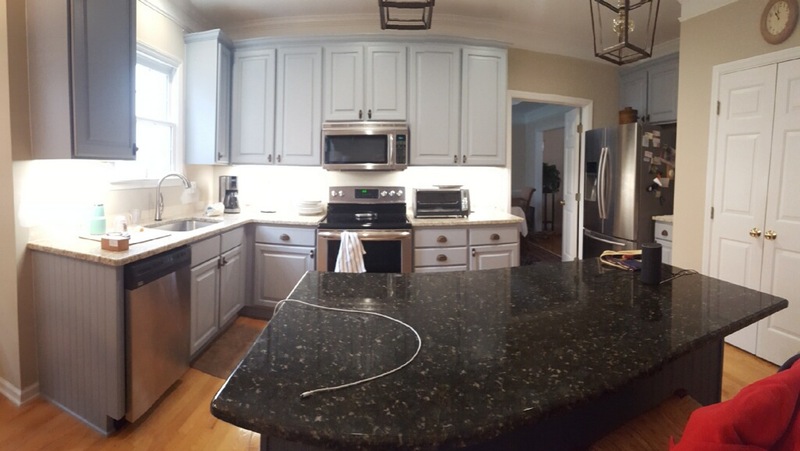 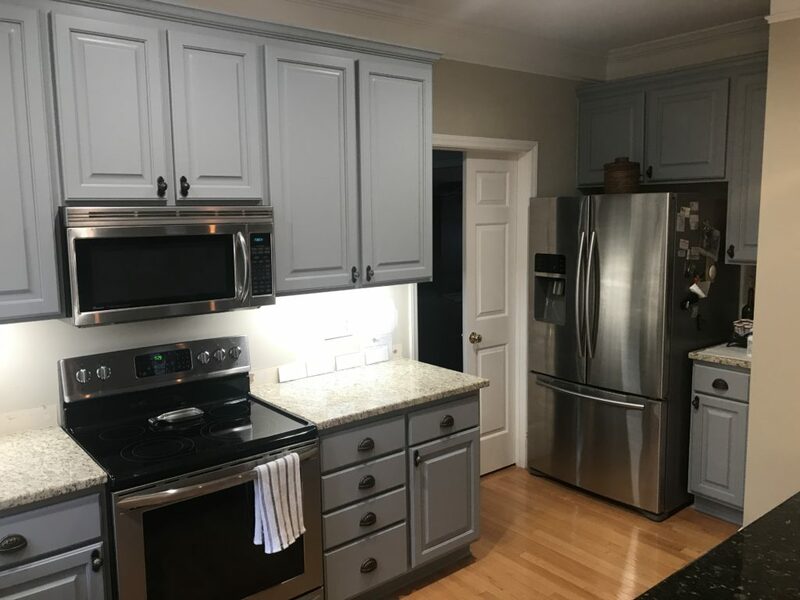 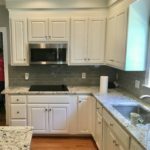 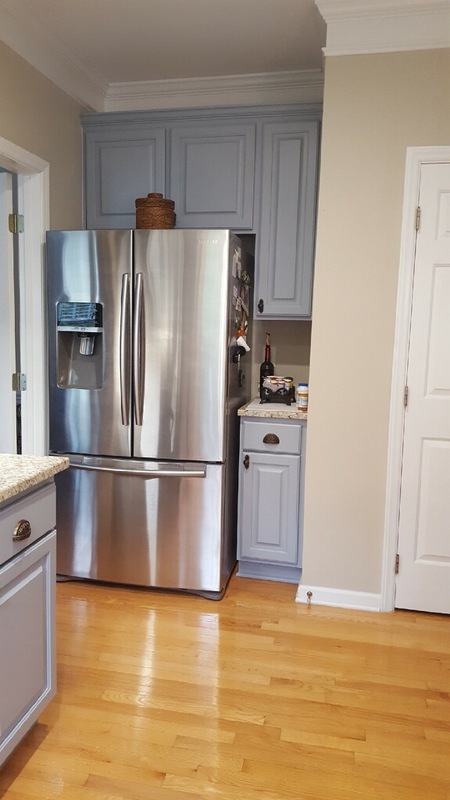 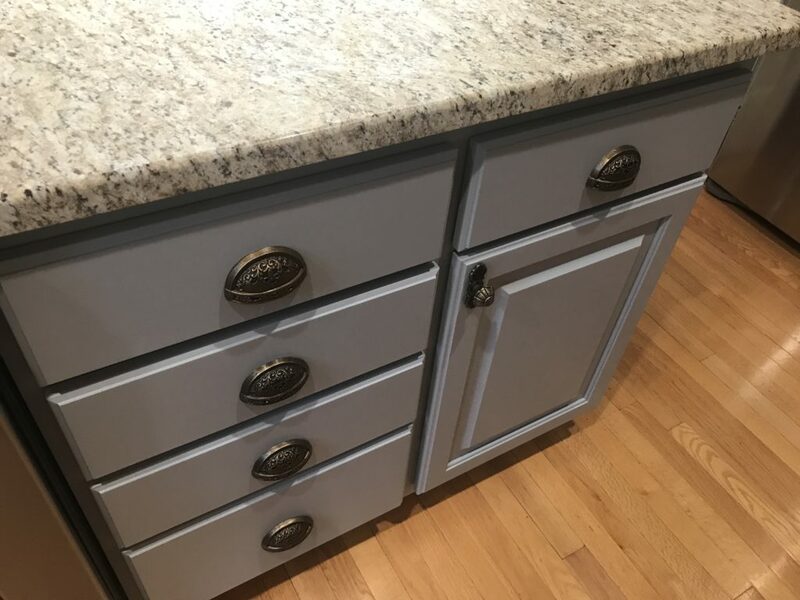 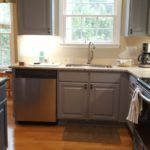 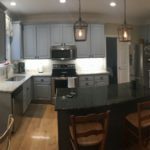 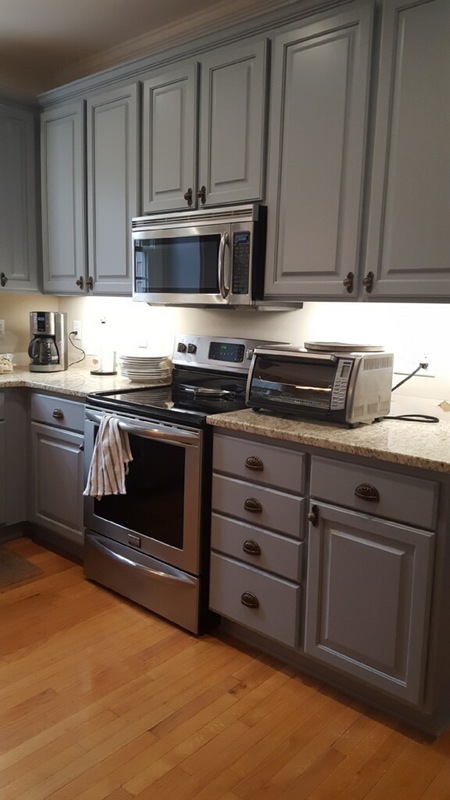 She chose a medium blueish gray for the wall cabinets, called Cystern, and a darker gray called Backwater. 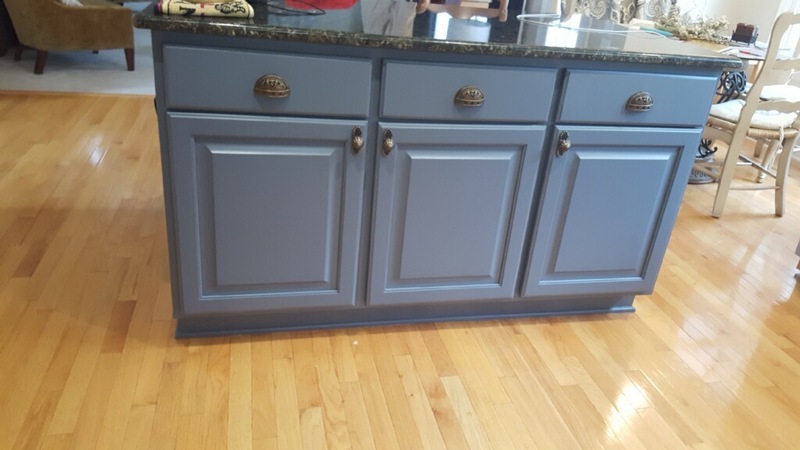 These colors, along with the new stylish knobs and pulls, make this kitchen magazine worthy!